- The straw hat is unpainted. 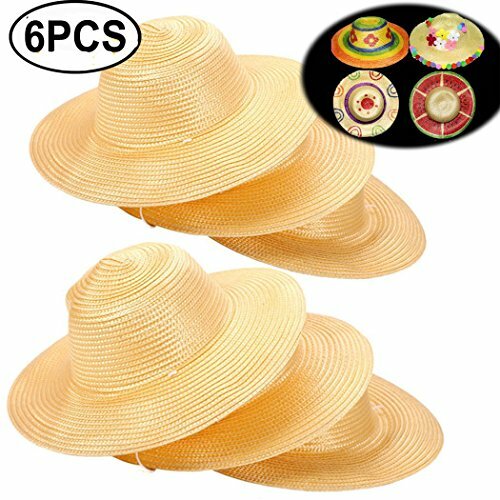 High Quality Material: Straw hats are made of natural straw material ,durable, not easily deformed,even if it is deformed, it will immediately restore its original appearance. Easy to Paint and Design: You can use oily markers or acrylic paint to DIY your own unique straw sun hats ,for example, painting a Snowman Straw Hat,DIY Eugenia Kim Straw Hat, DIY summer beach hat，DIY Dance Straw Cowboy Hats,drawing various styles of patterns for your like. If you have any questions about this product by Coxeer, contact us by completing and submitting the form below. If you are looking for a specif part number, please include it with your message.